A powerful Florida lawmaker said he is working on a five to ten-year shutdown plan of the University of Central Florida over the misuse of tens of millions in funds. Florida Rep. Randy Fine spoke at a hearing as Chair of the House Higher Education Appropriations Subcommittee Wednesday afternoon when he suggested UCF deserved to be shut down for using E&G funds to build Trevor Colbourn Hall. “I believed we are stewards of taxpayer funds and we are obligated not to fund organizations that refuse to steward that money in an appropriate way,” Fine said, citing issues with corporate governance. Fine suggested earlier in the meeting that lawmakers remove UCF’s submissions from a list of the university system’s highest priority building projects. “It is my opinion […] that the conduct [regarding Trevor Colbourn Hall] was inexcusable,” Fine said. 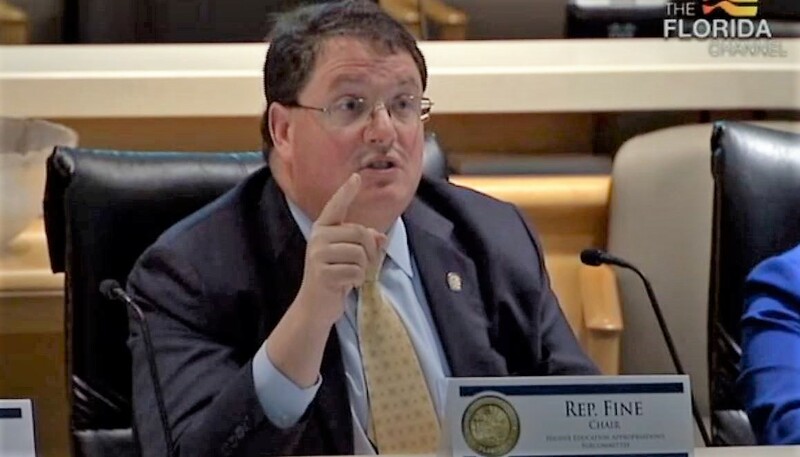 “Stepped outta committee for a few mins only to discover Chair @VoteRandyFine opined about a 5-10 yr @UCF shutdown. I hope this is a joke,” Guillermo-Smith said on Twitter. Board of Trustees Chairman Robert Garvey issued a statement shortly after the comment that was retweeted and supported by President Whittaker. “UCF is an admired and appreciated institution that has transformed more than 280,000 lives and an entire region of the state over the past 50 years. To shut it down would cause irreparable harm to Florida’s future and to the tens of thousands of organizations, businesses, and institutions that depend on its talent, ideas, and innovation,” Garvey said.